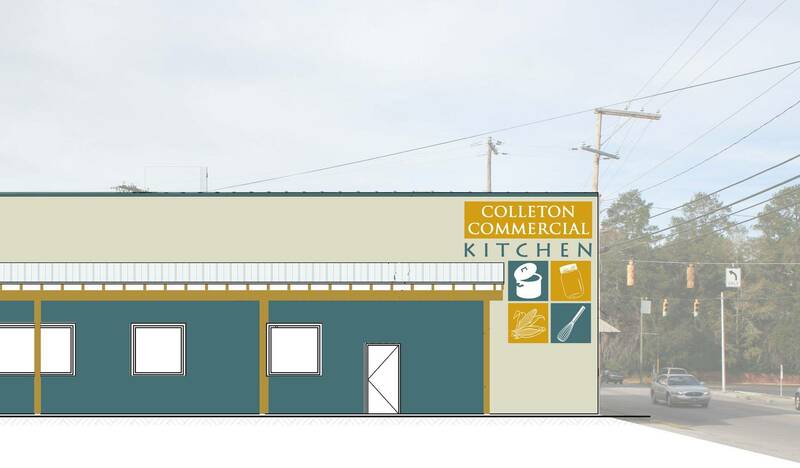 The Colleton Commercial Kitchen builds on the strength of our local, agricultural community. Users will be able to rent various spaces in order to create their end-product on a commercial scale within DHEC regulations. 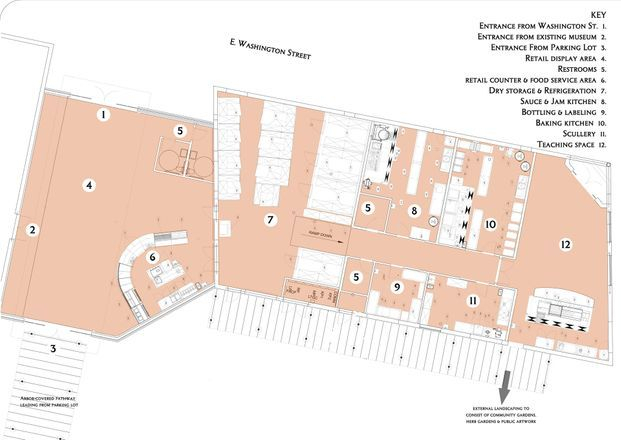 With dry & cold food storage, users can make the most of two fully equipped kitchens & a labeling & bottling facility to sell their produce in the retail & farmers market domains. Users can also receive training & advice in a state-of-the-art teaching facility with on-site expertise from a dedicated staff-base. 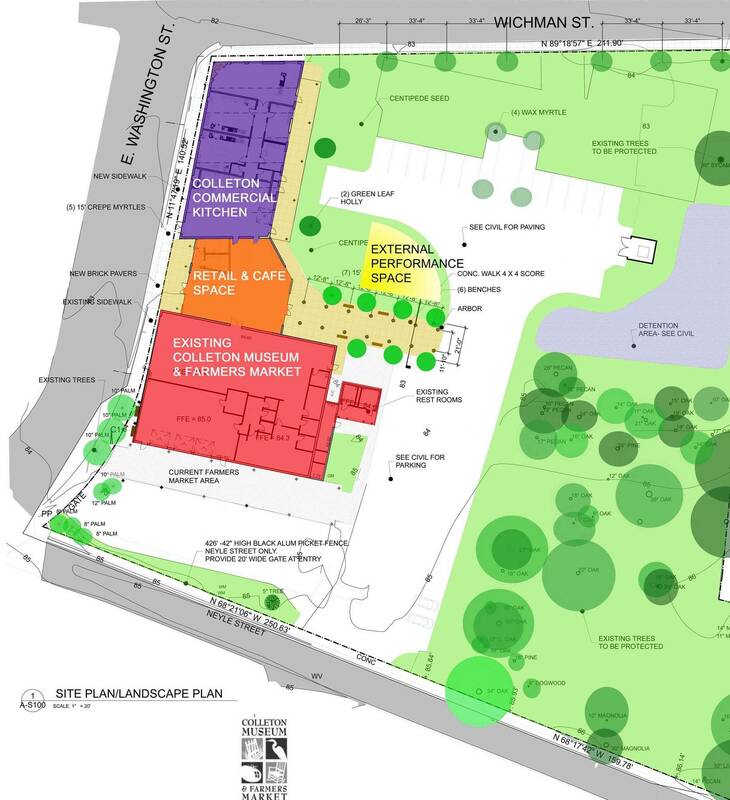 This project will connect with the Colleton Museum & Farmers Market campus while also allowing space for new external recreational activities such as outdoor performance. By working with the shell of the existing Brown Hardware building, we can maintain the historic character of the area while adapting its use to suit the current trends. 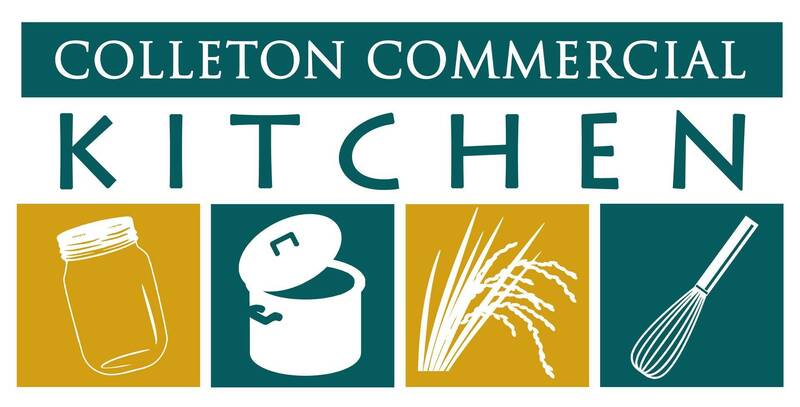 This project is made possible through a Rural Economic Development Loan from the USDA via Palmetto Rural Telephone Cooperative. We opened in May 2015. 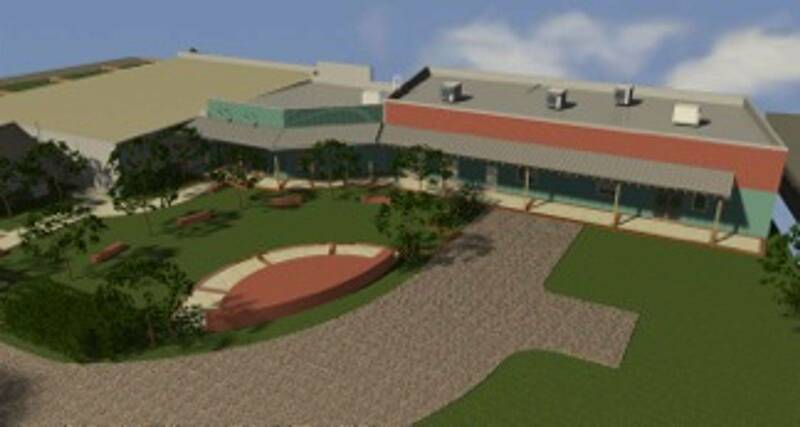 For more information on our progress visit our Facebook page here!